Plant names can be a source of both fascination and frustration. There was lots of moaning and groaning amongst Chrysanthemum growers when the botanical name was changed to Dendranthema (though it was subsequently changed back to Chrysanthemum). But overall, the use of correct botanical (Latin) names is a major benefit, as it ensures accuracy when describing plants. At least six different plants have the common name bluebell, which can lead to all sorts of confusion if two people from different countries are talking about them. And Hemlock can either be an attractive conifer (if you live in the US) or a poisonous herb related to parsley (if you are European). As you would expect of an area intensively studied by scientists, strict rules govern the naming of plants. They are set out in a weighty tome called the International Code of Nomenclature for algae, fungi, and plants. This covers the way in which scientists give names to new plant discoveries, and also to already-named plants when they are reviewed. There are many rules, though the basic principle is that the first published correct name for a plant is the one to be used. Correct in this case means that the plants name reflects the genera it is in. When it comes to naming new discoveries, there are a whole host of conventions, but the one that is most pertinent to this article is that you cannot name a plant after yourself, your family or your friends (unless you happen to be friends with a scientist of note, then it is sometimes ok to use their name). That’s the case for scientific names. When it comes to man-made hybrids, selections or cultivars, it is a very different story. Although the naming of cultivars is controlled by the International Code of Nomenclature for Cultivated Plants, you can pretty much name a plant after anyone you like, as long as that name hasn’t been used before. Each year at the Chelsea Garden Show there is a host of new flower varieties named after personalities. The hope here is that the personality will turn up for a photo shoot, enabling the breeder to grab some free publicity. The commercial opportunities associated with plant breeding have even got to the point where companies will pay breeders to name new varieties after their products. So who was Kay Parris? In this case, she was not a personality. In fact her name was Katherine Killingsworth Parris. She was the mother of the horticulturalist Kevin Parris (who is now the Arboretum Director at Spartanburg Community College in South Carolina) who first discovered the cultivar. It was grown from some seeds collected while taking cutting of Magnolia Little Gem. 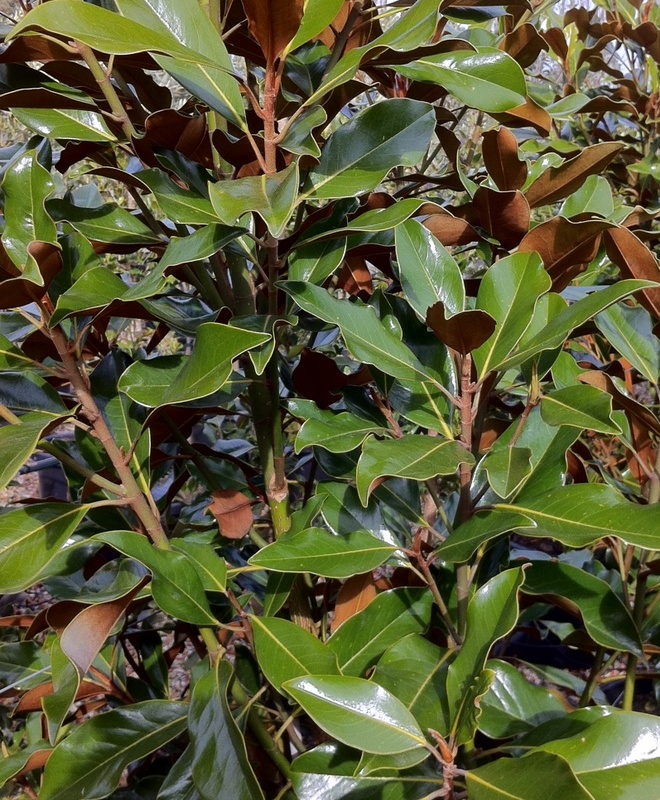 It seems that the seeds were the result of a natural hybrid between Magnolia Little Gem and Magnolia Brackens Brown Beauty, both cultivars of Magnolia grandiflora. The seeds were planted in September 1991, and out of 12 seeds, nine germinated. The seedlings that developed ranged in quality, but one in particular was outstanding. From this tree 36 cuttings were taken in 1994, and this stock was grown on. So all the Magnolia Kay Parris that are now grown around the world can trace their heritage back to one chance seedling grown in South Carolina just over twenty years ago.